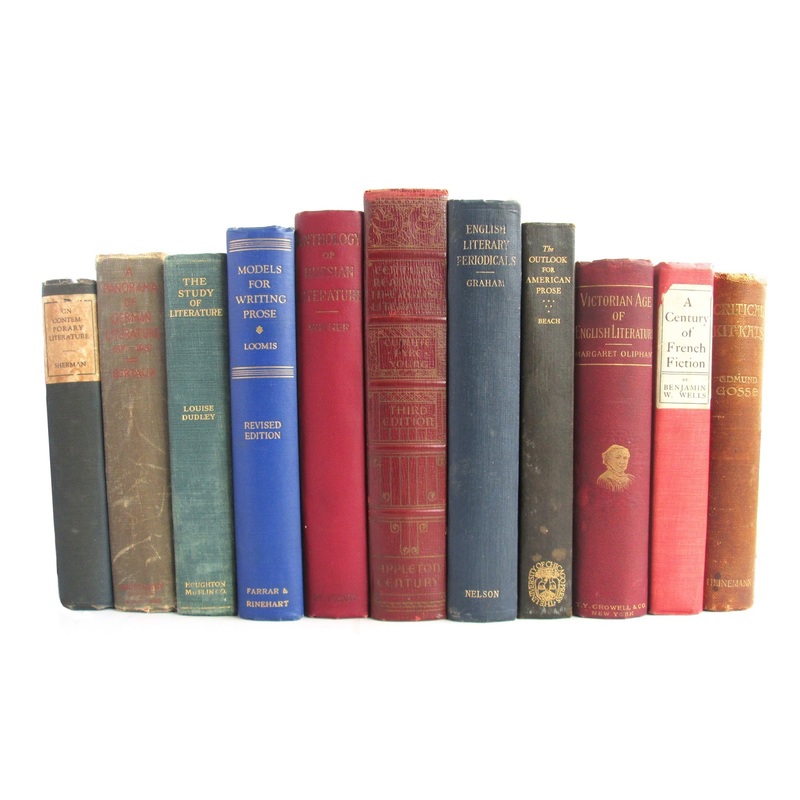 Nice collection of eleven vintage and antiquarian books, all on the topic of literary criticism, language, writing and reading or general books-on-books. 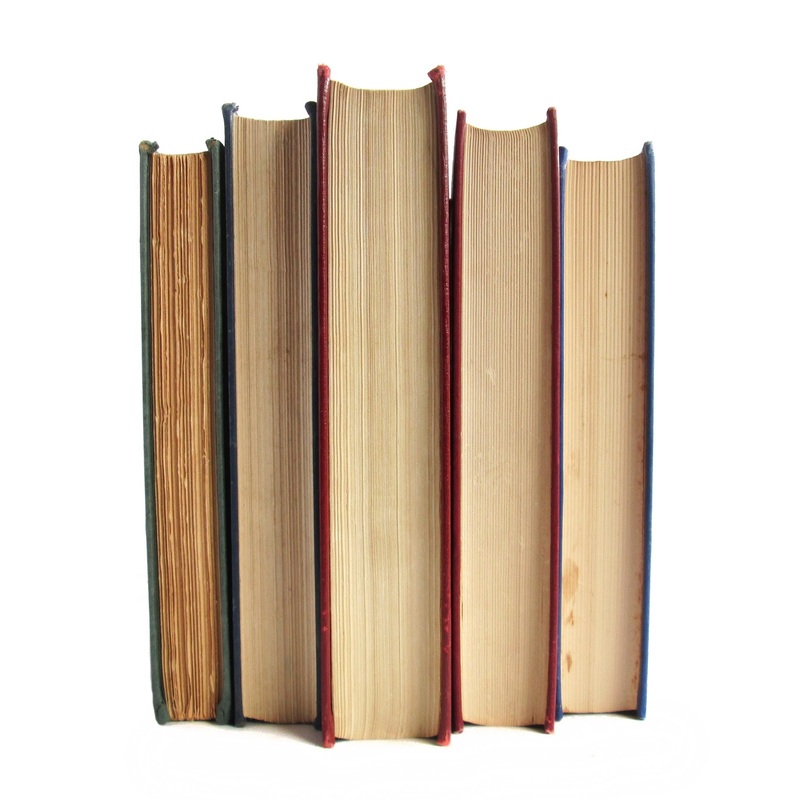 Books show wear and soil, but are intact. See description below for detailed condition notes. A CENTURY OF FRENCH FICTION Wells, Ph.D., Benjamin W. Dodd, Mead, and Company Good 1898 Antique hardcover red with black ltg. on the spine 396 pgs. 5 1/2 x 8. Book is in good condition with tanned pages, wear and soil. THE STUDY OF LITERATURE Dudley, Louise Houghton Mifflin Co. Fair 1928 hardcover green with gold ltg on spine 396 pgs. some pencil marks 5.5x8. Book is in fair condition with removed front endpaper, cover wear/soil/rubbing, edgewear, faded spine, wear, soil, and foxing. A PANORAMA OF GERMAN LITERATURE FROM 1871-1931 Bertaux, Felix Whittlesey House Good 1935 First Edition Stated 1st Edition. 5.5"x8". This hard cover book has a grey cover with red lettering on the spine of the cover. The pages are browned, there is wear, soil, browned spine, edgewear, rubbing and the owner's name is written on the inside. A book of criticism on German literature. 332 indexed pages. ENGLISH LITERARY PERIODICALS Graham, Walter Thomas Nelson and Sons Good 1930 No Jacket. 6"x9". This hard cover book has a blue cover with gilt lettering on the spine of the cover. Several Black and white full page illustrations within the book. 424 indexed pages. Book is i good condition with foredge soil, wear and soil. THE VICTORIAN AGE OF ENGLISH LITERATURE: VOLUME ONE Cliphant, Mrs. Thomas Y. Crowell and Company Good 1892 This hard cover book has a maroon cover with gilt lettering on the front and spine of the cover. There are a few cover stains, browned pages, foxing, wear and soil. 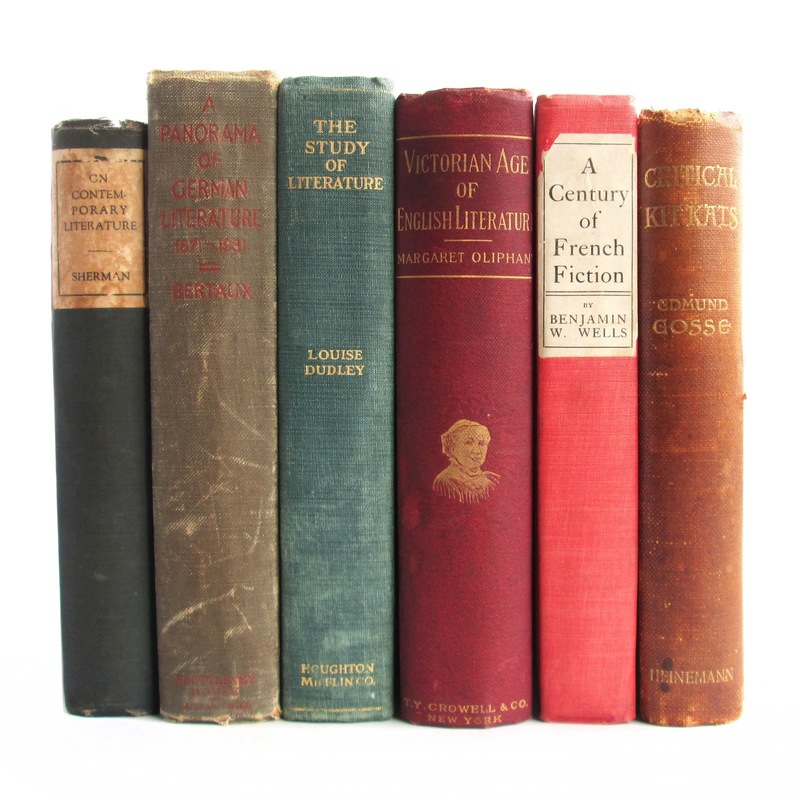 This is a look at the Victorian age of Lit. 647 indexed pages. 5"x8"
CENTURY READINGS IN ENGLISH LITERATURE Cunliffe, John w. And Pyre, J. F. A. 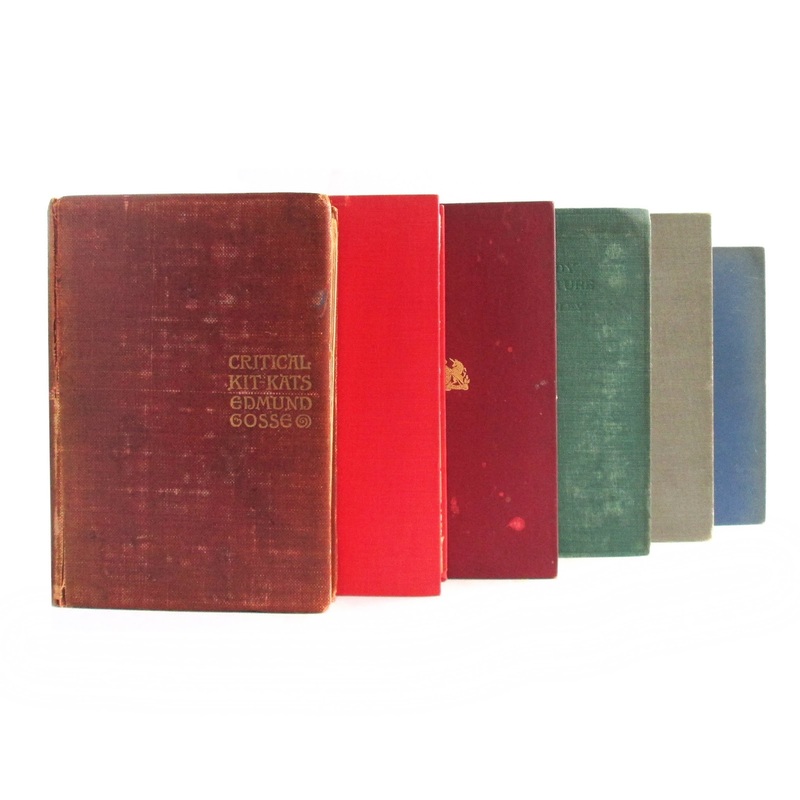 And Young, Karl d. Appleton-century Company Good 1929 This 6.5"x9.5" ANTIQUE HARD COVER BOOK has a red cover with red lettering on the front and spine of the cover. The owner's name is written on the inside, tanned pages, wear and soil. A reference book to literature. 1108 indexed pages. 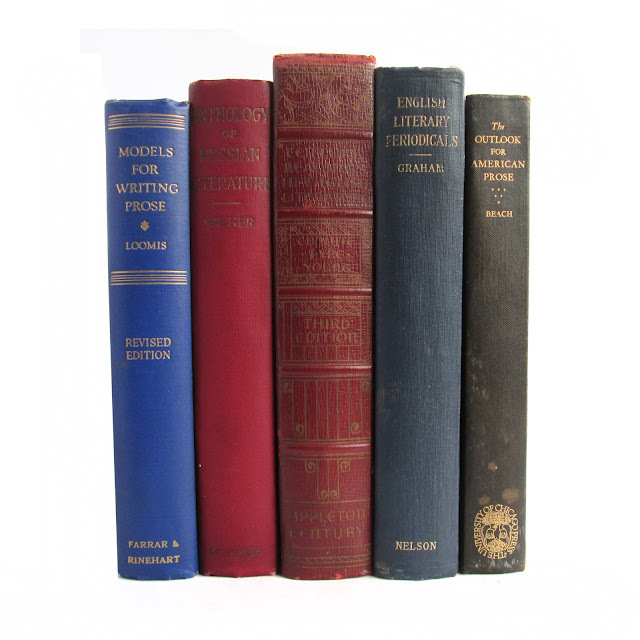 MODELS FOR WRITING PROSE Loomis, Roger Sherman Farrar and Rinehart Inc. Good 1937 Revised Edition This 6"x8.5" hard cover book has a blue cover with gilt lettering on the spine of the cover. The page edge is soiled, browned pages, wear, foxing, and soil. A book about the form and styles of English writing. An anthology 650 pages. 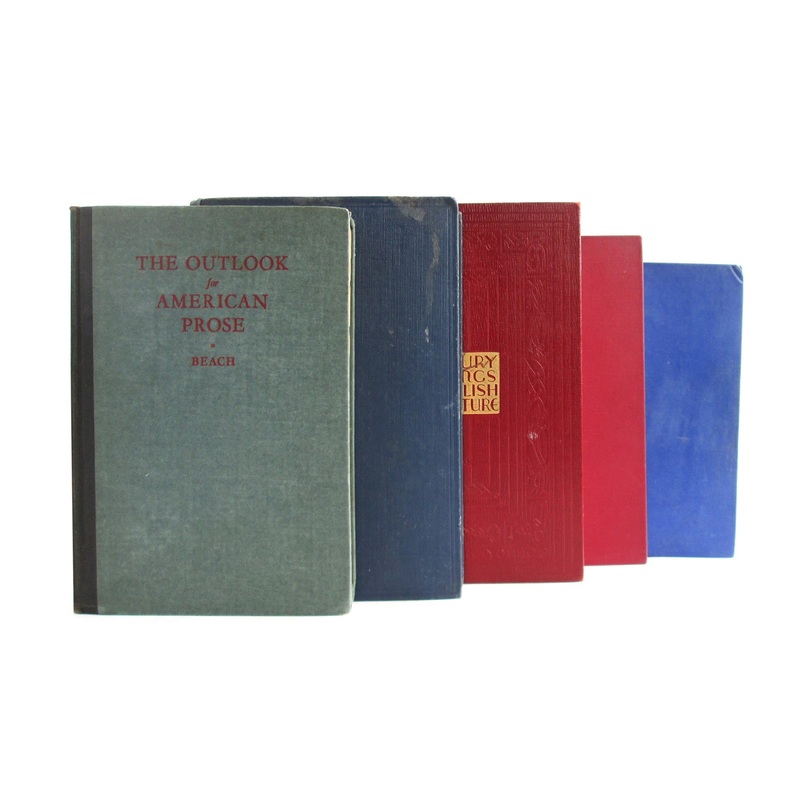 ON CONTEMPORARY LITERATURE Sherman, Stuart P. Henry Holt and Company Good 1917 3rd Printing This 5 x 7.5 hard cover book has the author's name and title in blue lettering on the beige and blue spine with a plain blue cover. This book features essays on some of the greatest contemporary authors of all time. 312 pages. Underlining. Owner's names. Soil and edgewear. Browned pages, faded spine and cover edges, cover spots. Good condition. ANTHOLOGY OF RUSSIAN LITERATURE, COVERING THE AUTHORS OF THE 19TH CENTURY (PART II) Wiener, Leo G.P. 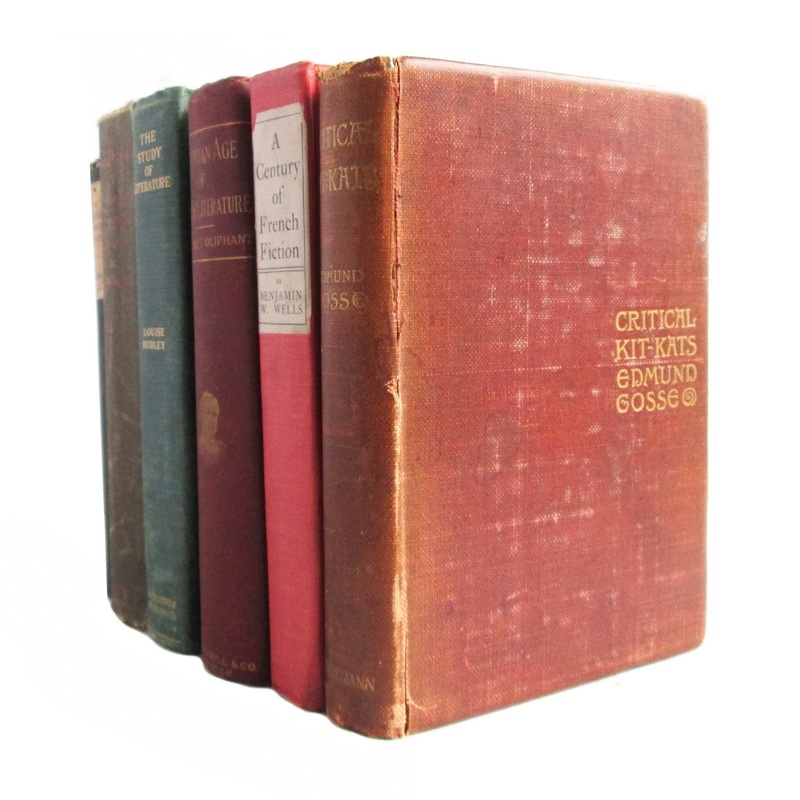 Putnam's Sons Good 1903 First Edition This antique hardcover book is bound in wine-colored cloth with gilt spine lettering. 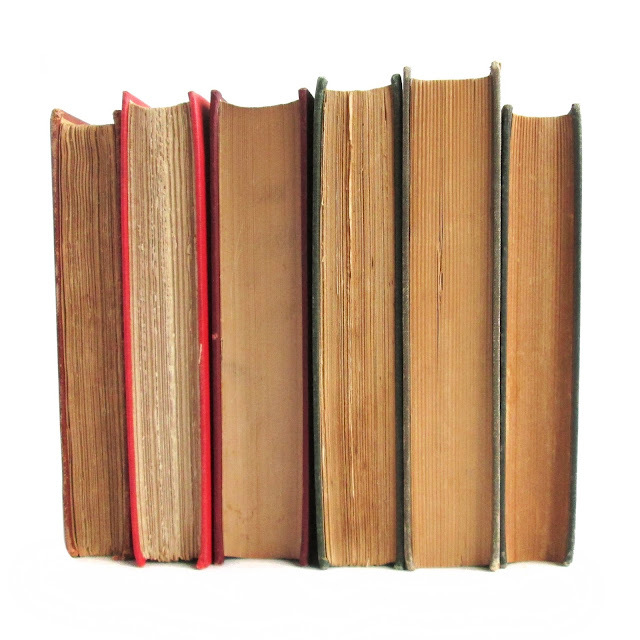 Gilt somewhat dulled; top gilt edge of pages has some small chips;tanned pages; wear and soil. This is part 2 of a two-part set of anthology by Wiener; the first part covered the 10th through the end of the 18th centuries. Following a brief introduction, the book contains writings by 53 Russian authors, from the well-known Pushkin, Gogol, Tolstoy, Dostoevsky, Turgenev, etc., to some names that may not be as familiar to Western readers. 500 pages, including index; approx. 6"x9". CRITICAL KIT-KATS Gosse, Edmund William Heinemann Fair 1900 Second Impression This antique hardcover book is bound in brown cloth boards with gilt lettering on the front and spine. Cover is worn; foxing to endpapers, edgewear, browning, weak hinges, faded spine, spine tear, wear and soil. Top page edge is gilt. This book is a collection of essays by Gosse on authors such as Keats, Whitman, Christina Rossetti, Robert Louis Stevenson and more. 302 pages; approx. 5"x7". 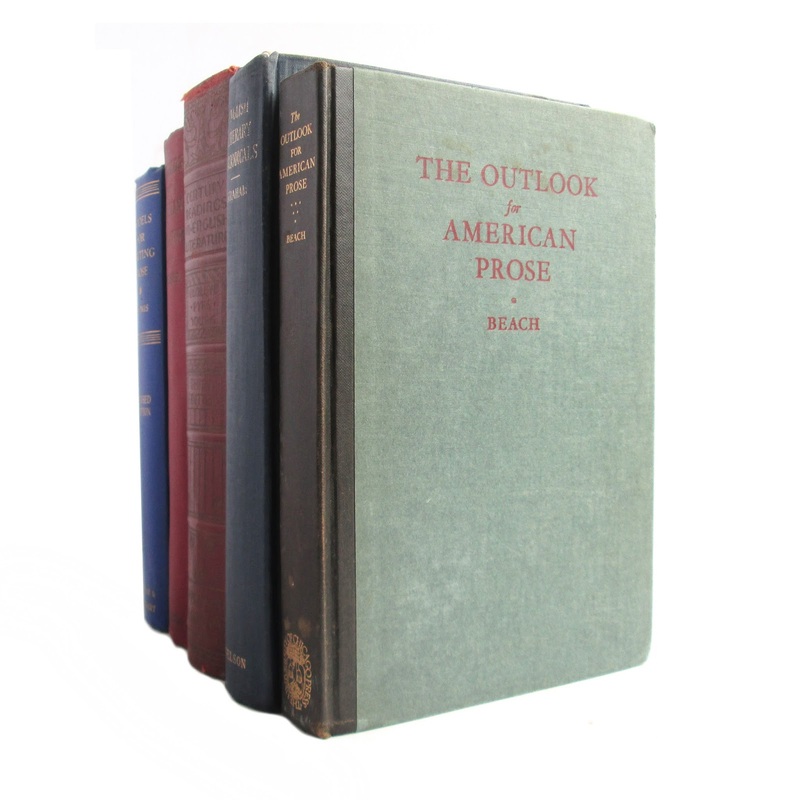 THE OUTLOOK FOR AMERICAN PROSE Beach, Joseph Warren The University of Chicago Press Good 1926 First Edition This book has a black spine with gilt lettering, and blue boards. Overall cover soil and wear; inner pages lightly browned; owner's name on half-title page. 285 pages, including index, appprox. 6"x8".